Melissa Elf is General Manager FCM Travel Solutions, the flagship and large-market corporate brand of Flight Centre Travel Group. This role leads the national direction of FCM to achieve continuous improvement and growth for its customers and employees. Melissa has worked in the FCM brand for 11 years. 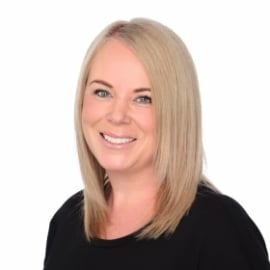 She has an exceptional understanding of FCM’s business and customers and has led in many areas of our operations including Sales, Account Management and Queensland and Northern Territory operations. Melissa was most recently National Sales Leader for Flight Centre Corporate during 2017. Previously, as FCM Australia’s Head of Sales from 2014-2017, Melissa led a high-performing team and provided expertise in travel management for large, national and multi-national customers. Prior to joining the Flight Centre Travel Group in 2006, Melissa worked for more than a decade in mid-to-large market airline sales with Qantas Airways. Melissa is a recognised leader and performer in the travel industry and passionate about mentoring and developing rising females within FCTG.